FDA Commissioner Scott Gottlieb has spoken out against the US drug pricing system, attacking the practices of PBMs, insurers and pharma company as anti-competitive and rigged against patients. In a wide ranging and detailed speech on Wednesday at an America’s Health Insurance Plans’ (AHIP) national conference, Gottlieb criticised anti-competitive practices, and in particular urged rebate-based contracts between pharma companies, PBMs and insurers to end. Through these pharma companies offer discounts on their drugs’ list prices to PBMs and health insurers – but these price cuts are not passed on to patients, and are instead typically skimmed off as profits. A similar rebate system is also being used by pharma companies to prevent biosimilars taking more market share. 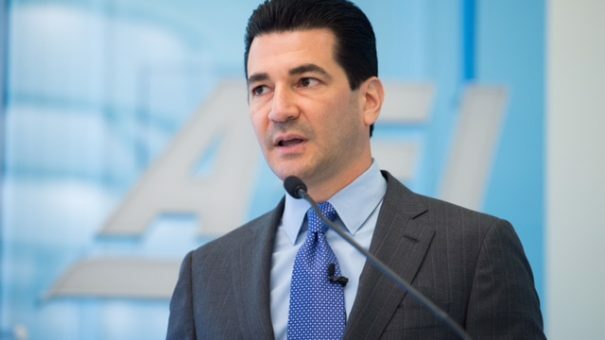 Gottlieb has already broken with FDA Commissioner convention by speaking about prices and competition in previous remarks, but went much further than ever before in his criticism of the market practices. “Everybody wins. The health plans get the big rebates. The PBMs get paid on these spreads. And branded sponsors hold onto market share. Gottlieb has the strong backing of President Trump, and the newly appointed Secretary of Health and Human Services, Alex Azar, who say tackling drug prices is one of their main priorities. While many are sceptical that Azar and Trump will deliver on their promises, Gottlieb does have the power to streamline the process around bringing new biosimilars to market. 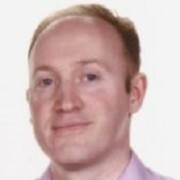 In his speech he revealed that a new ‘Biosimilar Access Plan’ would be launched to help speed the path to market and lower costs for biosimilar developers. The speech came just one day after a potentially game-changing development, with major health insurer United Healthcare announcing it would pass on all drug rebates to more than 7 million people in its fully insured plans from 2019. “This is a potentially disruptive step,” commented Gottlieb, who said he had already been briefed on the change by United’s CEO, Dan Schumacher. Gottlieb said this change could bring patients savings of hundreds, or even thousands of dollars, particularly those in high deductible health plans. The AHIP has responded by saying that greater competition will come via the launch of more biosimilars. It points out that the US passed its Biologics Price Competition and Innovation Act of 2010, but that since then just nine biosimilar products have been approved, and only four are currently available. In legislative terms, the CREATES Act is currently the most likely vehicle for major change. Already being debated in Washington, the bill has bipartisan support, including from conservative Republicans, who often protect pharma industry interests. However the appeal of the CREATES act is in simply allowing a free market to operate unhindered – something which chimes with Republican instincts – and the potential new law would introduce various measures to bring generic products to market faster. New HHS Secretary Alex Azar has also just given a major speech on his vision for health reform, and this included greater transparency in the system, new experimental models for Medicare and Medicaid and a move towards value-based healthcare. Azar stopped short of identifying anti-competitive practices like Gottlieb however – something which critics say is hardly surprising, as Azar has spent his career as a pharma industry leader. Some advocates for major healthcare reform are now looking to November’s mid-term elections, which could see Democrats seize control of Congress, and potentially opening the door for new legislation.